A brain tumor is an abnormal growth of cells within the brain, which can be cancerous or non-cancerous (benign). 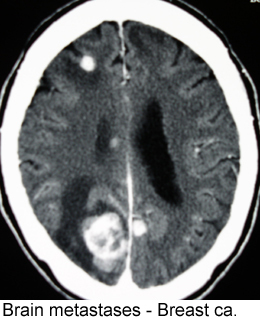 It is defined as any intracranial tumor created by abnormal and uncontrolled cell division , normally either in the brain itself (neurons,glial cells (astrocytes , oligodendrocytes ,ependymal cells), blood vessels, in thecranial nerves (myelin -producing Schwann cells), in the brain envelopes (meninges), skull, pituitary and pineal gland , or spread from cancers primarily located in other organs (metastatic tumors ). 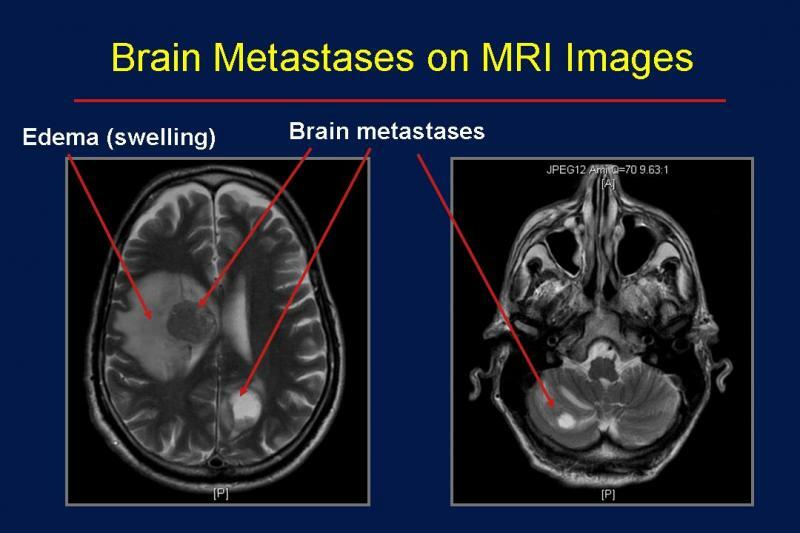 Brain metastases are the most common type of brain tumors, with the total number diagnosed annually outnumbering all other intracranial tumors combined The most common source of brain metastases in males is lung cancer and in females is breast cancer .Metastatic brain tumors present with the usual signs and symptoms of any expanding intracranial mass lesion. These include increased intracranial pressure and focal neurological deficits with focal irritations. Such symptoms include headaches, focal weakness, mental status changes, seizures, ataxia [inability to coordinate voluntary muscular movements] and sensory and visual changes. Whole brain radiation therapy (WBRT) is the most widely used method of treating brain metastasis, despite the fact that patients treated this way have an expected survival of only three to four months. Death from recurrent or persistent tumors occurs in about 50% of the patients. 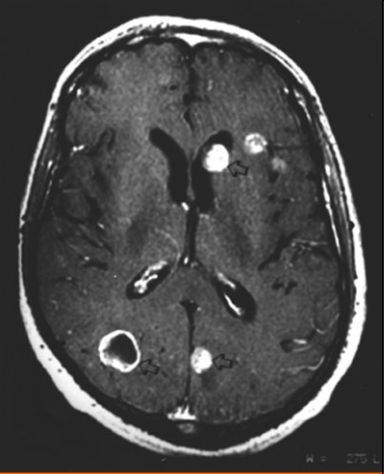 Significant neurotoxicity has been reported with the use of WBRT.Leksell Gamma Knife is the only stereotactic radiosurgery system specifically approved for treating brain tumors, also known as brain metastases, based on long-term scientific proof.Gamma Knife was designed specifically to provide the very best radiosurgical treatment of brain tumors .The Gamma Knife is designed so all radiation focuses into a single point within the brain and the shielding of the machine specifically protects the body from excess radiation.